When word got out Wednesday (Nov. 2) that Beyoncé would perform at that night's CMA Awards, it seemed surprising enough on its own. Then when she emerged a little over two-thirds of the way through the 50th-anniversary show, she had her very own surprise still to unleash: the Dixie Chicks. 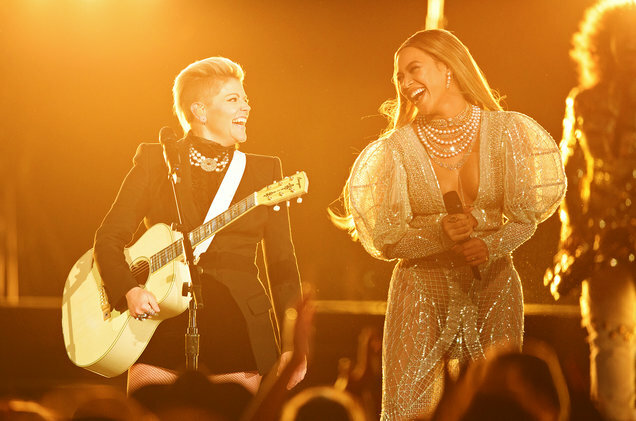 The legendary country trio joined Queen Bey for "Daddy Lessons" from her visual album Lemonade. The Chicks already had a connection to Bey's twangiest song yet: They've been performing it on tour this fall. And immediately after the performance, they released a free download of the song on Twitter.